When federal, state, local, property, sales and hidden taxes (gas, phone, recycling, liquor, energy, TV, etc.) are combined, it adds up to the government taking 30, 40 or even 50% of a citizen's earnings. With less money, citizens are at the whim of government forces about how to move about (trains not cars), what to eat (no soda, beef), where to live (high density cities, not suburbs), and where to be employed (government-favored industries). This November, Californians will vote on a big list of law changes that will take more money in taxes. These state laws will add tens of billions each year in sales and income taxes. There's a total of 110 property tax initiatives, with some areas being hit with up to three different initiatives. These tax hikes are disguised as bonds with pleas that "it's for the kids", when really it's about feeding exploding costs of union-controlled government schools which will never be satisfied no matter how much funding is provided. NOTE: Bonds are loans which must be paid back with interest, so they're even more costly than taxes because the interest can be up to ten times the borrowed amount. It can be quite complex to calculate the precise dollar impact on your wallet for each tax initiative, so I created a web calculator called TaxBalloon which computes the exact dollar impact each law will have on your wallet. The Secretary of State provides an overview of the impact to the state for most initiatives, but missing in the analysis is the impact on each household. Since California is expecting citizens to act like politicians and vote on complex laws, I think they should provide this information so people can make an informed choice. Until they do citizens must fill the void and that's what TaxBalloon.com does. 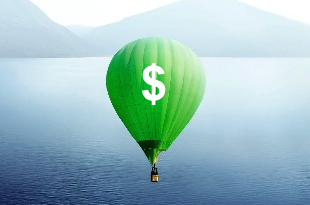 TaxBalloon looks at upcoming changes to laws plus the effect of pending propositions and calculates how much taxes will rise for a household. This data is calculated based on each zip code using average income and home values. It works best for San Diego residents where local initiatives and tax hikes are including in the customized report. For other California residents, statewide propositions as well as Federal changes are calculated but local taxes will have to be tracked elsewhere. Those not living in California should visit this site which does a good job of covering pending Federal changes, including 18 new Obamacare taxes taking effect plus expiring tax cuts. My goal with TaxBalloon is to inform voters about the impact on their finances of pending and possible tax code changes so they can make better choices in November. Please visit TaxBalloon and encourage other voters as well to check it out before the upcoming election.